Relaxing is easier said than done. When life is stressful and challenges daunting, we need to take some time to relax and regain some energy to keep going. Stress is one of the main factors causing insomnia and other sleep disorders. When stressors are present, the body naturally heightens its response system, thus, leading to wakefulness. Reaction to stress makes the blood thicker and more viscous which can lead to a blood clot. Powerful hormones, intended for urgent situations only, flood the brain and can kill healthy brain cells. Stress is interconnected with the topmost causes of death globally: accidents, cancer, heart disease, suicide, lung disorders, and cirrhosis of the liver. While we must accept that stress is a part of life, we can introduce habits that work to reduce the effects of stress. Here are ten ways you can feel good about taking action and know that taking action can make you feel better. 1. Accept that stress is a part of life: Stress is a useful reaction that makes us physiologically ready for an emergency. Your ability to control this natural reaction can benefit your health and well-being. 2. Chew gum: Chewing gum has been around for longer than you think. Ancient Mayans and Greeks chomped on resin gum. In a 2008 study conducted by Andrew Scholey, Ph.D., participants who regularly chewed gum demonstrated lower levels of anxiety, increased alertness, reduced stress and improvement with multi-tasking. 3. Do something with your hands…crafts, learn to play an instrument, cook: Find an activity you enjoy and don’t worry about the outcome. Art, even simple drawings or scribbling, can be used to relieve stress because the activity takes your mind off whatever it is that is stressing you and promotes relaxation. You will likely return to your daily life with less stress and a clearer mind. 4. 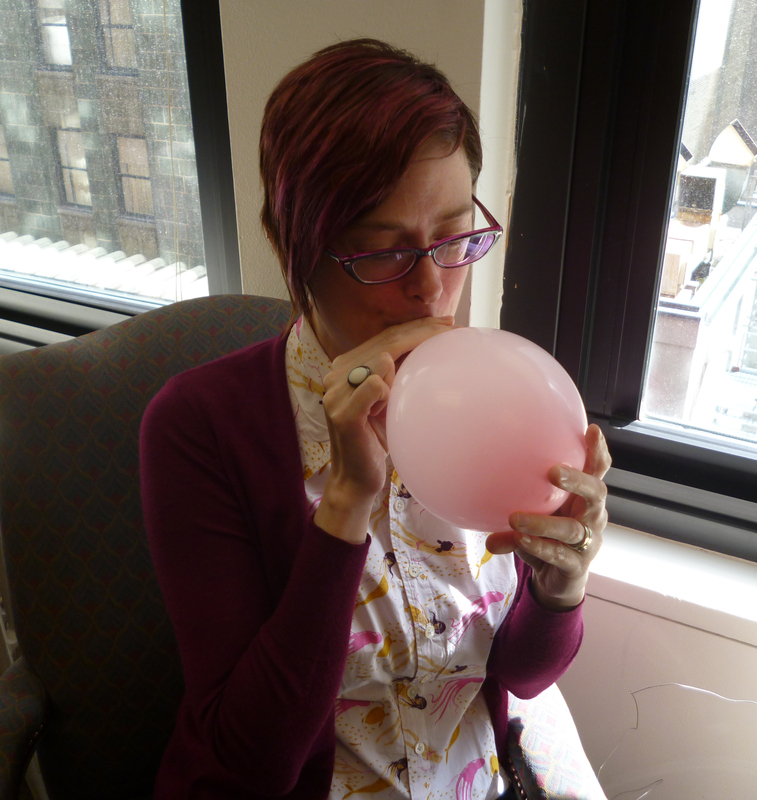 Blow up a balloon : Inflating a balloon forces you to breathe deeply, which lowers stress. So next time you go to your office, place a few balloons in your drawer and remind yourself to blow one up whenever you are beginning to feel stressed. And when people laugh at you, just know you are also helping them reduce stress by making them chuckle. 6. Go to a pet store and stroke something furry: Studies have shown that dog owners are much less stressed than those who do not own a dog. It may be the unconditional love of an animal plays a big part in making their owners happy. 7. Eat chocolate and other Mood-boosting Foods: Some foods have been shown to reduce stress in some people. If you find a food that works for you, keep small portions handy: either in pre-packaged 100 calorie sizes or snack size zip-lock bags. Cocoa and chocolate, which are rich in antioxidants, have been are known to reduce stress. Carbohydrates like cookies, pretzels and other sweet and starchy foods may boost serotonin levels, which can provide feelings of contentedness and relaxation. Green tea contains theanine, an amino acid that promotes relaxation. It is also thought that it counters the stimulation effects of caffeine, which can increase the stress response. Oranges or other foods high in vitamin C lower levels of stress hormones, such as cortisol. Oatmeal contains magnesium and potassium to lower blood pressure. It also boosts serotonin levels. 8. Get some peace and quiet: Chronic noise has been shown to have a negative impact on your health. Even when you think you have become used to ever-present noise, such as traffic or construction, you are still experiencing biological changes. If you work or live in a noisy area, give yourself a break and find a quiet getaway. Get a Massage: Getting a massage is a great way to free yourself of tension and relax, and adding aromatherapy oils such as chamomile or lavender can be particularly beneficial. Have a Hot Bath: Heat relaxes muscles—and taking a long bath can be soothing for the mind as well. Stock up on your favorite bath salts and soaps, get a bath pillow, and decorate the room with candles. You can even create an in-home spa, by incorporating spa treatments like facials. 10. Exercise Daily: Exercise helps to boost endorphins and reduce stress—and research shows that 20 minutes each day is all that is needed to experience benefits. What is your favorite method of stress reduction? 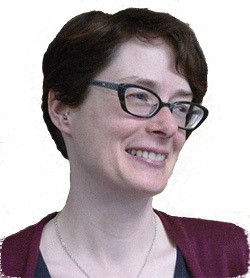 Polly Abbott, CVRT teaches clients at Second Sense the skills they need to manage their daily lives.